Winter is coming and that means it’s time for a wardrobe refresh. If you haven’t already done so, choosing the ideal winter accessories can totally lift your style while also being practical as the weather turns cold and nasty. 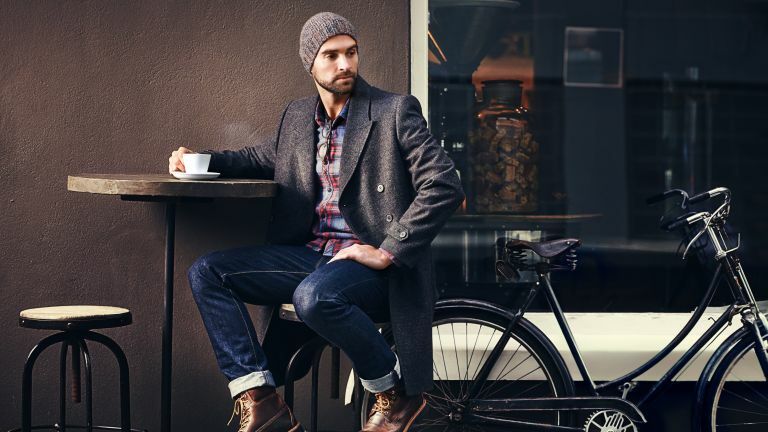 With a selection from beanies to boots, gloves and scarves, here is a comprehensive list of the most essential winter fashion accessories to keep you warm and stylish as we head into layering season. There is hardly anything that protects against the cold as well as down. A down jacket is filled with soft duck or geese under-feathers that trap warm air inside and which makes them extremely good insulators. That means you can stay cosy without needing to lug around a massive coat all winter. Another plus of the down jacket is that it’s relatively light and slim. They’re usually water resistant as well and ideal for outdoor activities, allowing you to stay active even in the peak of winter. If you select a well-designed jacket then it can serve as a fashion item as well as a practical winter accessory. You could argue about whether most body heat actually does escape through the scalp, but the fact is that wearing a beanie is way more comfortable in winter than not. If you live anywhere where temperatures drop below zero, then having a good beanie is a no-brainer. And good means one made of materials that both insulate and are comfortable, because there’s nothing worse than beanie itch. Go for one that has a quality breathable lining made of wool, cotton or fleece. You also get plus points for one that’s stylish and colour-matched to your outfit. Grey, black or navy are safe options, but you could also opt for burgundy or mustard to mix it up. Beanies also rest nicely atop long or curly hair – but of course stay prepared for the inevitable beanie hair that follows. Scarves are high on the list of essential winter accessories. They’re versatile, can also be worn through autumn, and easily complement a variety of outfits with their huge layering potential. Not only that, but you can instantly feel the difference in warmth as soon as you tuck one into your coat. The right scarf can serve as simply a practical item – or be the statement piece of your entire outfit. As you’ll come back to your favourite scarves so often in winter, it’s worth investing in quality materials. There are plenty of chunky knit, cosy wool and check designs out there to suit your style. You’ll want to arm your wardrobe with a stable of neutral-colour scarves, but don’t be shy about going for an outsized or cheeky printed scarf to amp up your look. You’re probably already planning to buy new boots for the coming winter, so why not nab some extra style points while you’re at it? This is one winter accessory that is essentially a must-have for every guy. Try as you may to flex in trainers year-round, once the streets turn glazy you’ll be looking for those boots. Choice is plentiful here so let’s narrow it down a bit. For a more professional look you can opt for brogues, cap-toe or a more subdued pair of Doc Martens. For leisure you can go for chunky hiking or snow boots to withstand ankle-deep snow, or if you’re into a simple, rugged classic then the Timberland is a very reliable option and looks great with jeans, too. While you might prefer to brace the cold without them, a decent pair of gloves is practical and a good way to stop your iPhone slipping from your dry fingers and onto the concrete. You might need them for work, riding a motorcycle or simply because they look good. Let’s assume the latter. Leather gloves are a classic choice for sharpening your look when worn with overcoats and dress shoes. There are thermal fleece or wool gloves as well, and a plethora of lined, ribbed and waterproof options to boot. Just be sure to check how well they insulate against the elements, as a glove’s effectiveness can seriously dwindle once deep winter starts, particularly when they become damp. Next to beanies, socks are one winter accessory you can have a fun with. Wear them over the ankle and show them off under trousers and jeans, or colour match them with one of your other layers, an accessory – or something completely off-kilter and wacky. Styling aside, choosing quality materials will ensure you stay warm when it’s cold. Merino wool or cotton will almost always do the trick, but you could go for a thermal design to get the best insulation possible. If you’re planning a hiking trip then crew socks are a great choice, or for skiing your best bet is a pair that sit over the calves. While slippers conjure images of tweed jackets and fire-side pipe smoking, they can actually add fire to an outfit rather than just being worn next to one. With plenty of leather and sneaker-style silhouettes available, you can feel cosy as you flex while it’s snowing buckets outside. Other materials you can shop for include velvet, faux fur and suede. Whether you prefer to don them as you host guests for dinner, or simply because you like pottering about on the weekend, slippers are about luxury, comfort and even opulence. Plenty of reasons to add a pair to your wardrobe. Why invest in stylish clothing only to have it soaked during a deluge? Sure, you can avoid that with a sturdy umbrella, but it can also by stylish at the same time. As they’re easily lost at the pub or turned inside out when it’s windy, buying cheap umbrellas is often the first choice. But spending a little more can pay dividends. Compact umbrellas fit easily in a briefcase, but they’re generally less comfortable to hold than a J shape grip. Stick umbrellas are more sturdy but will be trickier to carry around, on the train for example, so it’s worth it to consider when you’ll use one to find the right balance between practicality and style.